So you guys will have seen my post about the Chloe’s Beauty Bar in Essex and the great treatments that they have available. If you missed it you can find it here. If you’re not lucky enough to live near to Chloe’s LA style beauty bar then you’ll be really excited to know that you can buy her tanning products on line at Montana Tan and they have Gift Sets from £12.50. 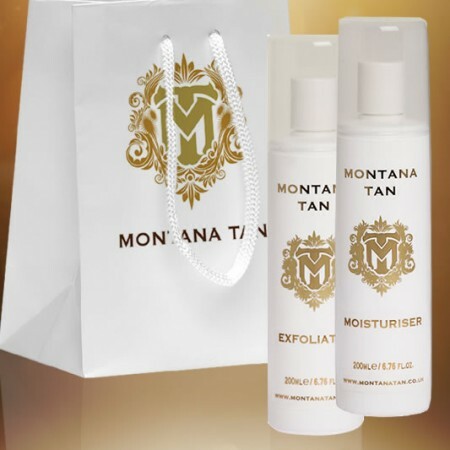 Montana Tans & Chloe Sims Starship gift sets combine everything you need to get glam for any occasion. All sets come in a gorgeous presentation gift bag. All valid until 20th of May. Exclusions apply. Receive a free ghd heat spray worth £9.95 when you buy any ghd electrical product Code: GHDHEAT Valid while stock lasts. Save 20% on Kérastase and receive a FREE Kérastase Irisome Lait Vital when you buy two from the range. No code needed. Valid until the 15th of May. 9. 3 for 2 Spring Makeup Offers from Superdrug! 12. 3 for 2 on selected B.